Kansas City, Mo. 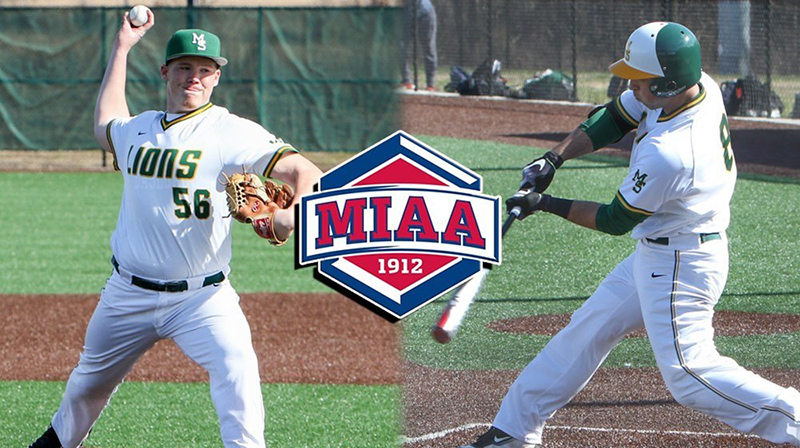 – Missouri Southern swept the MIAA Baseball Athletes of the Week as Max Hogan was named the hitter and Seth Mesey the pitcher. Senior Max Hogan has continued his torrid pace to start the season as he hit .571 this week. He slugged 1.643 on the week, while having an on base percentage of .684. He hit four home runs, drove in 12 and scored seven runs on the week. In game one against Truman, he had a home run. In game two, he had a three-run triple, as well as a two-run home run to drive in five and score three times, in game three, he went 2-4 with two RBIs and a walk, and in game four, he hit two home runs, while driving in four and scoring three times. The 5-11 second baseman is a native of Belton, Texas and transferred to MSSU from Arkansas. Junior Seth Mesey threw a complete-game gem in the first game of a double-header this weekend against Truman State. He limited Truman to just two hits and one earned run as he struck out eight and walked just one and only four batters reached base and only two got past first base. The 6-3 pitcher is a native of Sullivan, Mo. and transferred to MSSU from St. Louis Community College. The Lions will continue their home stand with a 2 p.m. tilt with Arkansas Tech today at Warren Turner Field.